Walter F. Rittman was born in Sandusky in 1883 to Christ and Louisa Rittman. Walter was an excellent football player while at Sandusky High School. 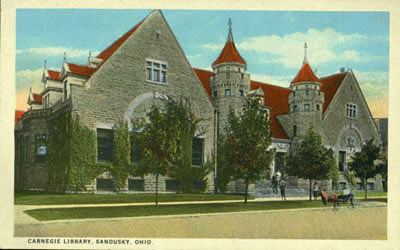 He worked his way through Ohio Northern University, and then went on to complete his Master’s Degree at Swarthmore College in 1909. At Columbia University, he earned his doctorate. Dr. Rittman was pioneer in the field of chemical engineering, and was considered one of the outstanding chemical engineers of his time. In 1915 he gained national attention for his invention of a process which increased the output of gasoline from crude oil. He also perfected several other processes used in the explosive and dyestuff industries, which were used by the U.S. government during World War I. He wrote several articles about the application of chemistry to industrial processes. From 1921 to 1933, Dr. Rittman was connected with the engineering department of the Carnegie Institute of Technology. He also served as a trustee of the Ohio Northern University from 1928 to 1941. For a time, Dr. Rittman was an instructor in chemistry at Columbia University, and later he worked as a chemist in the U.S. Bureau of Mines. On September 26, 1954, Dr. Walter F. Rittman died in Pittsburg, Pennsylvania. 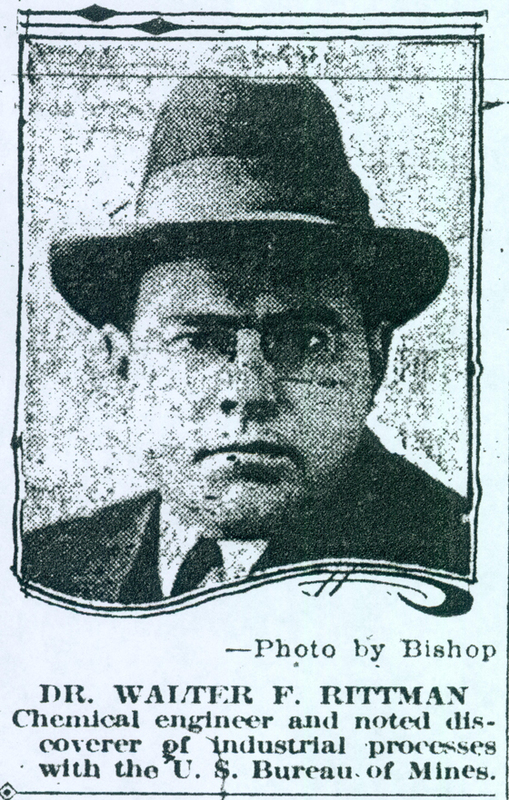 He was survived by his wife Anna, two sons, a daughter, and a sister, Mrs. Elmer B. Otto of Sandusky, Ohio. Dr. Rittman was buried in Chautauqua, New York, where his family had a summer home.